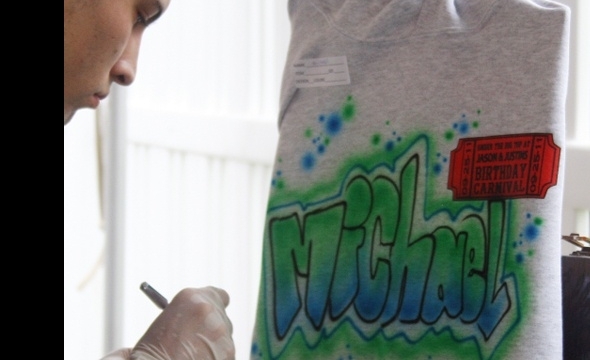 Learn basic lettering and stenciling skills while designing your own t-shirt. Must be at least 12 years old. Come join me this summer at Camp War Eagle, check out the Airbrushing-Beginning.